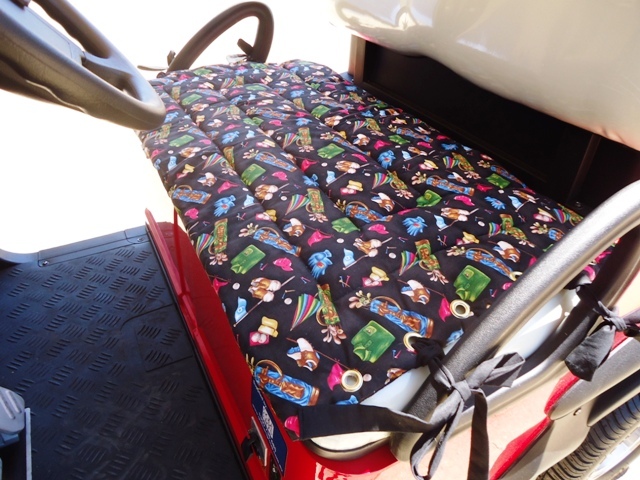 These seat covers are washable, reversible and fit most carts – having multiple eyelets allowing you to adjust the ties to suit your cart’s arm rest. Locally made by a professional upholsterer, the fabric is 100% cotton with durable batting used for quilting. Your cart will stand out from the crowd with one of these seat covers fitted. 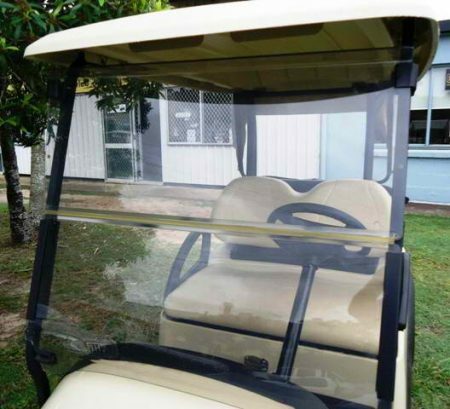 Will keep your cart seat cool in summer and warm in winter. Easy to fit and flip over for a change of colour. Would recommend either hand or gentle machine wash, dry flat in the shade. 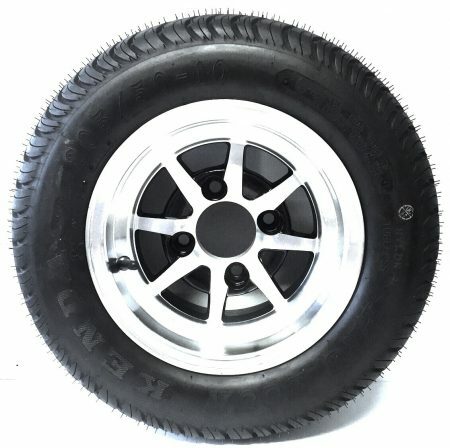 Full Price: $110.00 plus $17.00 Post & Handling Australia wide.